As part of the Cortech Open Innovation Event [COIE] at the Hormuz Grand Hotel, Muscat, Oman on 27 April, we will be joined by distinguished guest speaker, Bill Nelson, Managing Partner of Rose Associates. Bill will address delegates with an engaging and thought provoking insight into the smarter integration of Security and Building Systems. 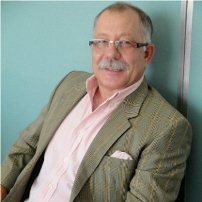 A former Lt Col in British Military Intelligence with broad domestic and international operational intelligence and security experience, Bill has worked in the private sector for over 17 years. His commercial experience includes corporate security management with Mobil Oil and Bechtel; security service provision and business management with G4S; and latterly he led the Arup Resilience, Security and Risk consulting practice in the Middle East and N Africa. The COIE is a showcase for some of the latest advances in security, fire and building control technology and a platform for demonstrating how interoperability between these systems can reduce risk and cost, improve operational efficiency and provide greater situation awareness. This CPD event aims to challenge us all to think about the way we manage infrastructures and buildings with a view to safety, security, interoperability and sustainability.